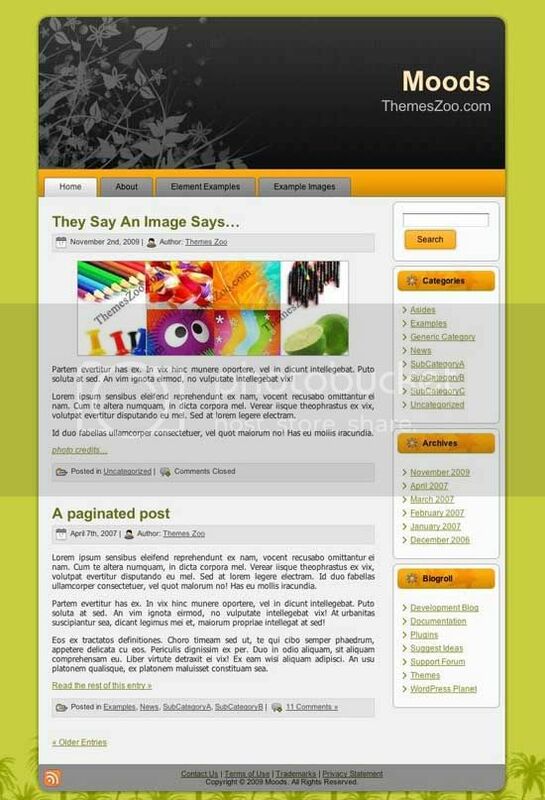 Moods by TZ - Free Wordpress Theme is fixed width, 2 columns free wordpress theme with right sidebar and widgetized. 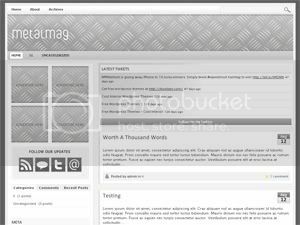 Free metal-style wordpress magazine theme with twitter integration, theme options page and more. This is a 3 column validated xhtml theme. Adsense and Ads optimized. Options page for easily editing bookmarks, ads, Adsense, Featured Videos, About us and more. 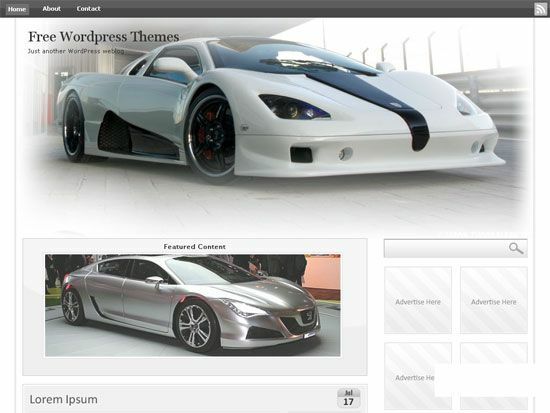 Free automotive wordpress magazine theme with twitter integration, theme options page and more. Also packed with 5 header graphics for you to choose from. 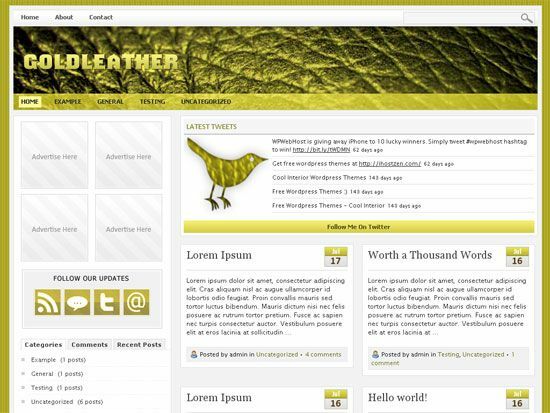 Free wordpress theme with twitter integration, theme options page and more. Suitable for all niche. A hot casino theme with optimized ad space for greter clikc-through rates of your banner ads, treaded comments ready with widgetized sidebar. 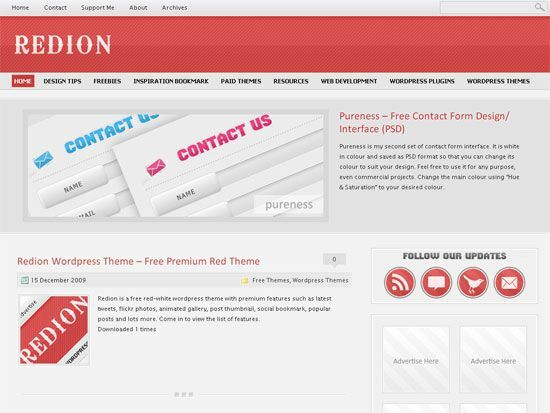 Redion is a free red-white wordpress theme with premium features such as latest tweets, flickr photos, animated gallery, post thumbnail, social bookmark, popular posts and lots more. Suitable for all niche. Dice Beauty a hot casino theme with optimized ad space for greater click-through rates of your banner ads with featured news box. Features: Optimized Ad Space, 2 columns, Fixed width, Right Sidebar, Threaded comments ready, Widgets Ready, Compatible with latest WordPress versions 2.8.6, Compatible with all major browsers IE, FF, Safari, Valid XHTML/CSS. SSC Ultimate Aero Theme is a free automotive wordpress theme with premium features such as latest tweets, flickr photos, animated gallery, post thumbnail, popular posts and lots more. Suitable for all niche. Also packed with 3 header graphics for you to choose from. 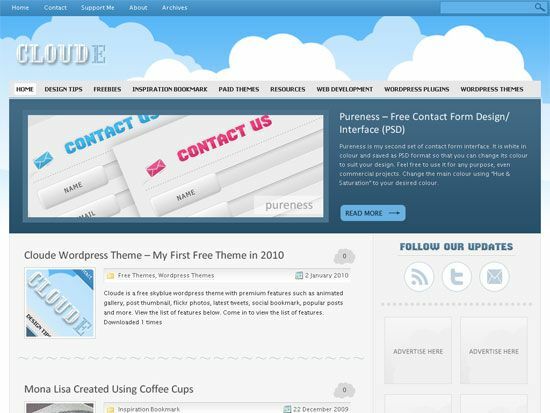 Cloude is a free skyblue wordpress theme with premium features such as latest tweets, flickr photos, animated gallery, post thumbnail, social bookmark, popular posts and lots more. Suitable for all niche. 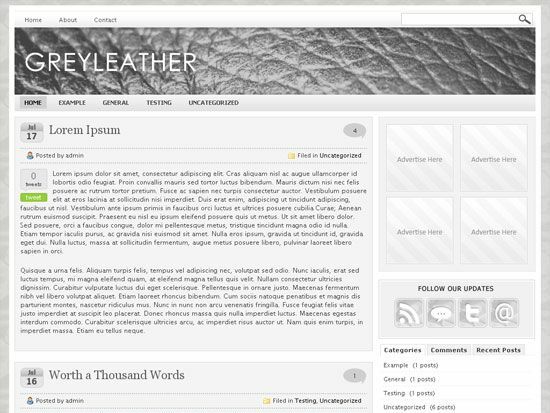 Avatar theme is a elegant fixed width, 2 columns free wordpress theme with right sidebar wit 125x125 adspace and widgetized. 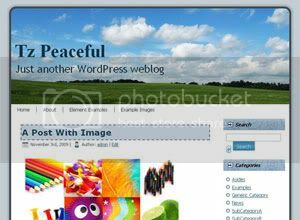 A clean blog theme developed by CustomTheme.com. Comes in four different colors: blue, green, red, and orange. Forum time zone is GMT. Currently it's 01:04 AM.